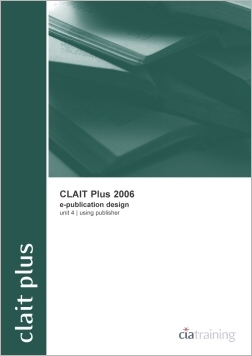 The 4th guide in the CLAIT Plus 2006 series helps you to understand design briefs, house styles and the elements that compose them. You will learn the skills necessary to create, edit and print multiple page publications, including copyfitting techniques and the use of proof correction symbols. You will be able to prepare files for an outside printing service and to print composite and colour separated proofs. Endorsed by OCR.